Infrared Saunas are great for Relaxation, Weight Loss, Pain Relief, Improved Circulation, and Skin Purification. The use of far Infrared Heat (deep heating energy from the sun) to transfer its heat within the human body, giving all the benefits of far infrared hyperthermia therapy. 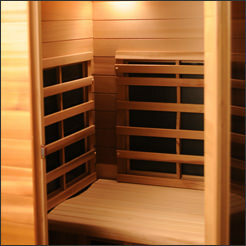 This is all done in a confined space, called a sauna cabin; hence the full therapeutic name is “Far Infrared Sauna Therapy” Of importance here is that the only the therapeutic heat energy of the sun is used during this process, and there are NO ultraviolet rays or any other of the dangerous sun rays that can sunburn or damage the skin. It is for this reason, this therapy provides a very safe form of transferring heat energy from the sun to give a powerful human ‘hyperthermic’ effect. A conventional sauna, wet or dry, super heats the air which heats the outside of your skin. This extreme heat, 115F/46C - 180F/82C, is hard on the respiratory system, eyes and carries warnings for heat conditions. The FIR sauna that we have is used between 100F/38C - 120F/49C. Warm waves penetrate 1 1/2 inches into the body, thus heating the body from the inside out. This causes toxins, heavy metals and poisons to be released from the fat and water cells and out through the sweat. 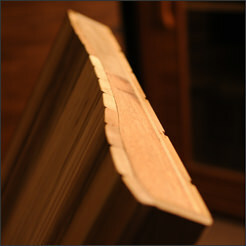 Approximately 20% of this sweat is made up of toxins compared to 2-3% in a conventional sauna." Additional benefits of using the FIR sauna are: improving circulation, losing weight (burn 800 calories in 1 hour session), reduce cellulite, improve skin quality, lower blood pressure, relieve pain, soothe aches, and the best part is that all this happens while you relax and unwind. Using the sauna in conjunction with hyperbaric oxygen therapy enhances the benefits of the sauna, gets even more oxygen into the body and speeds up the body's healing process. Our True Wave™ heaters are the only combination Carbon and Ceramic far infrared heater. These heaters are the best of both worlds. 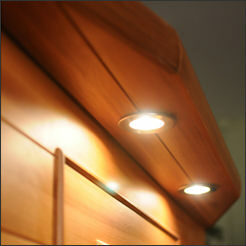 The Carbon allows the True Wave™ heaters to produce long wave far infrared heat. The long infrared wave will penetrate deeper into your body and give you the benefits you are looking for.